If you require innovative, professional and creative photography, no matter how large or small your project, please contact Richard to discuss your individual requirements. He will do his utmost to be of help. Or perhaps take a moment to read his blog – which illustrates specific shoots, photographic techniques and a ‘behind the scenes’ view of various commissions … demonstrating all the diversity of being a professional photographer. Each posting is illustrated with more examples of Richard’s work. 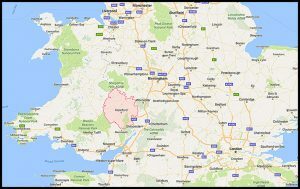 Richard is located in Herefordshire, a short distance from the Welsh border: allowing prompt access to Birmingham, Chester, Gloucester, Shrewsbury, Stafford, Hereford, Worcester, the West Midlands and Mid Wales, (Powys, Dyfed, Brecon & Radnorshire). However he is not restricted by his geographical location and regularly travels nationally and across Europe for commissions. To read Richard Stanton’s Terms & Conditions click here.